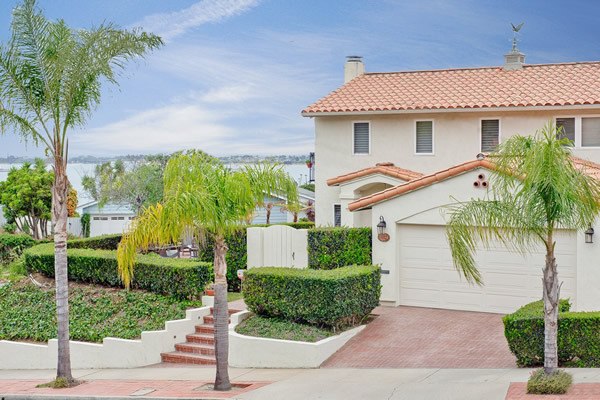 Coastal San Diego is a top destination for those seeking vacation rental accommodations. Please contact Tim at 619.607.5968 or email for more information on our full vacation rental services. Ocean/Bay View Retreat - All New 2016: 3 Beds, 2 Baths, Sleeps 8+. Perched above Mission Bay with bay, city and ocean views. 2015 - New Interior - 100% New Furnishings - New Appliances - New Windows - New Carpet, Paint, Kitchen Tile, Granite Counters, Wolf stove top. Washer and dryer. Brand new oven and refrigerator. 24 hour maintenance on call! The ultimate bay and ocean view San Diego home. 5 Smart TVs with Top Tier Cable - All New Outdoor Dining Tables & Fire Pit - New Carpet, Flooring, Window Coverings, Towels & Bedding - New Washer & Dryer - New Garage Walls & Flooring - New Refrigerator - Top-of-the-Line High-Speed Internet - and Much More. 24 Hour Maintenance On Call! The Ultimate Water View San Diego Home. Allen D: "Cassidy & Associates was by far the best property management company I've had. After struggling with a variety of other rental companies, C&A were definitely my favorite to deal with."